This story is about two children that learn about finding God’s purpose for their life through the love of a Christmas tree. Just like pine trees are meant to be Christmas trees and look forward to fulfilling that purpose, God has given people a purpose too. I read this book to my 6 year old granddaughter but she lost interest even though her name is the same as the Sneezing Christmas Tree. I believe that she would prefer to have the picture book so she could follow along as opposed to reading an e-book off of a phone. 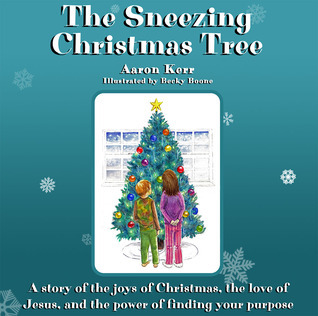 I think it’s worth picking this one up and taking a look because the message that the tree teaches the kids that God has a purpose for each of us is good and told in an engaging way. This is for kids 5 and up, however, if they are not of reading age they may prefer the actual book over an ebook. Focuses on finding God’s purpose. Connie Allen is a voracious reader and proud grandma of three.